Iris Apfel (born Astoria, Queens, New York, 29 August 1921) is an American businesswoman, former interior designer, and fashion icon.Born Iris Barrel, she was the only child of Samuel Barrel (born 1897), whose family owned a glass and mirror business, and his Russian-born wife, Sadye (aka Syd), who owned a fashion boutique.She studied art history at New York University and attended art school at the University of Wisconsin. As a young woman Barrel worked for Women’s Wear Daily and for interior designer Elinor Johnson. She also was an assistant to illustrator Robert Goodman. In 1948 she married Carl Apfel. Two years later they launched the textile firm Old World Weavers and ran it until they retired in 1992. 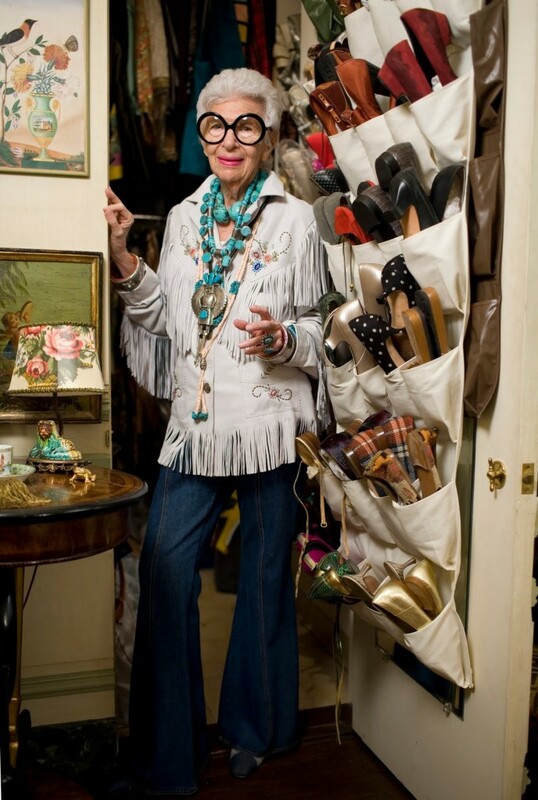 During this time, Iris Apfel took part in many design restoration projects, including work at the White House for nine presidents: Truman, Eisenhower, Nixon, Kennedy, Johnson, Carter, Reagan, and Clinton.Iris Apfel still consults, and also lectures about style and other fashion topics. This is one of those collections you literally dream about and wake up suddenly thinking, “Wow, I really need to lay off the late night tuna.” By now most of you know how much I love Iris Apfel so I am more than enthused to introduce to you her upcoming collection with MAC. and named for a magnificent flower.